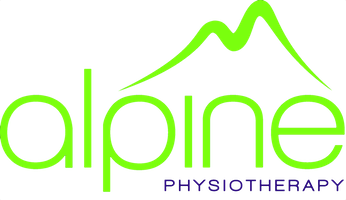 There are thousands of physiotherapists but what makes us different at Alpine? Catherine focuses her expertise on early, accurate diagnosis and intervention with customised treatment. She aims for shorter recovery times and fewer sessions. Catherine qualified in 1990 from the Queen Elizabeth School of Physiotherapy, Birmingham and wants to learn more! She soon became registered to work in the US and on return gained a Postgraduate Diploma in Practical and Academic Sports Physiotherapy. Catherine also pursued the world of Pilates and became a qualified Body Control Instructor. More recently she completed a Masters in Neuromusculoskeletal Physiotherapy and has been accepted as a member of the Musculoskeletal Association of Chartered Physiotherapists. Her research has been accepted for publication in Manual Therapy….watch this space. Catherine previously instigated and led the Sports Medicine service at the Royal National Orthopaedic Hospital, Stanmore in 1994. Using her Diploma in Sports Physiotherapy she became team physiotherapist to Saracens RFC for four years. She subsequently moved into private practice in the City of London, later becoming the National Physiotherapy Manager for Bupa Wellness, leading a team of 30 physiotherapists until early 2009. Catherine still practices within a premium medical facility at a large investment bank. Catherine's LinkedIn Profile can be viewed here. Charley has certainly packed in a lot since qualifying in 2013 but this wasn’t the beginning of her sporting career. She spent her childhood on a trampoline, eventually representing GB at the World Championships in 2009. Charley has been treating in Harpenden for the last three years, particularly with athletes from all disciplines. She provides pitchside and sports therapy for St Albans Hockey Club Men's 1st X1 and also treats the Elite Gymnasts at Marriotts Gymnastics Club. In her spare time, Charley loves running with her dog Fletcher and teaching trampolining fitness classes!